You receive these warranties with your artwork. I promise you'll love your purchase! If you don't, return it. The LOVE YOUR ART Warranty includes a no-questions-asked 100% money back guarantee. If within 59 calendar days from your date of purchase, if you aren't happy with your artwork, just return for exchange or refund. This warranty will be honored whether you purchased in person or online. Some limitations apply. See below for more details. Returns must be in like new condition. Your return needs to be insured and trackable. Each return must be preceded by communication with me, either by email or phone, and you receiving my written or verbal approval. A refund will not be honored for returns for which I have not been notified, and returns that have not been approved by me. This warranty does not apply to heavily discounted prices, greeting cards, nor to pieces that have been altered in some way. My policy is subject to change at any time without notice. Your favorite photograph can be purchased as an unmatted print or ready to hang gallery wrapped canvas. Other options may also be available. Contact me and we'll chat about what you're looking for. Fine Art Prints are printed using archival quality paper and inks. 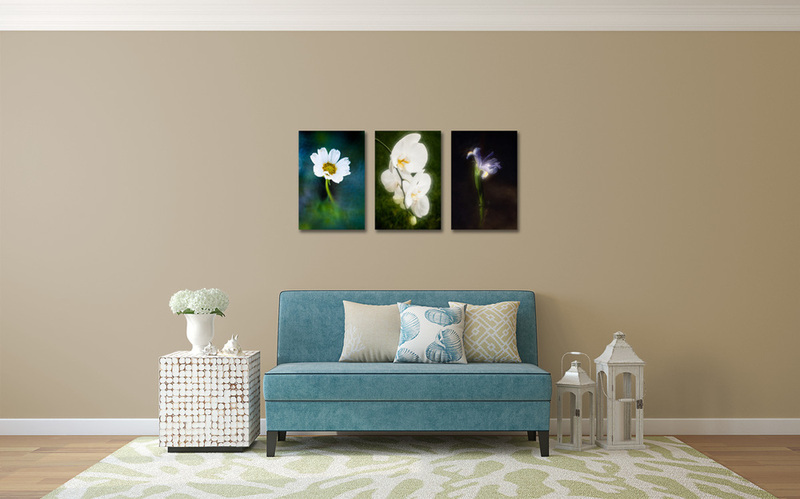 Your Fine Art Gallery Wrapped Canvas is printed on fine art canvas at a professional photography lab, then stretched around a 1.5" wood stretcher frame and arrives ready to hang. Each canvas has a protective laminate to protect from scuffs, scratches, UV light and cracking. Your artwork will last and not fade for many decades with proper care and avoidance of direct sunlight. You will receive information on how to care for your purchase. Knowing more about the image you fell in love with only adds to its charm. Because I'm the photographer and selling my own artwork, I can tell you about the story behind the image. Where it was taken, how I created the image, whether I was trying to relay a specific feeling, really any question you might have. Each fine art print and canvas is personally and individually signed. You'll receive my contact information (email, phone, and mailing address). If you ever have a question about your artwork, don't hesitate to contact me. Your artwork can be shipped to your home or office. Packages are insured and trackable. Your artwork is well packaged, but if it should arrived damaged, please contact me within three business days. Save all packaging and contents. Photographs of the damaged artwork and shipping container is all the proof I'll need to be able to ship you a replacement at no additional cost. I'll need to file a claim with the shipper, so I may require more photographs or information from you, please hang on to your damaged items until I've told you it's ok to throw them away. To provide the best quality artwork to my customers, most of my artwork is printed after the order is placed. I usually receive your artwork from my professional photo lab in less than a week, at which point I inspect it, sign it, and then ship it to you. Typically, you'll receive your order in less than 2 weeks. If there is an unusual delay I will notify you.